To sell Avon online successfully, you need to reach your audience. It’s a simple concept. However, the actual work in reaching that audience is not all easy peasy. It’s not hard for me to think up a domain name, purchase it, point my name servers to the site/blog from my hosting provider, download WordPress.org to my site, get a Word Press theme, and get the blog cosmetically correct…get it looking the way I want it to. Then comes the challenging part, that’s if you want to sell Avon online ONLY. To reach YOUR audience, you must consistently create content day after day, month after month, and year after year. If this sounds too challenging for you, then you are typically wanting a set-and-forget type of business. Well, guess what? These don’t exist! Huh? That’s right, you have to work with your business to make it a success. So now, going back to why I chose to create my own site/blog. Blogging all ties in with the whole package. If you get a site set up, but don’t update it every day, then it’s pointless. I chose to create my own site so that I could make (my site original). I didn’t want to have a cookie cutter site just like all the other reps. However, to make money, you must lead your audience to your Avon cookie cutter site…aka, your Avon eStore. I love Avon so much that it’s not really considered work for me to share the products by blogging on a daily basis. Am I tired and don’t feel like working on some days? Sure, I’m like everyone else in that respect! I have to say I’m finding it enjoyable to keep my blog updated with new products, news, coupon codes, Avon brochures and new campaigns. I love getting up in the morning to think of what product I’ll be reviewing next or what sales products I’ll need to order next for my customers. So far, I’m loving it. =) Although, I am aware that it is taking some work to get my Avon business established. It’s just like any other business. My point is, I wanted my site to be different so that I can make it a bit easier on myself and draw my audience quicker. I know that some people will take one look at my eStore and click on the back button. However, getting people to my site/blog and reading about the products FIRST is ultimately half the battle at getting the sales. People want to read reviews and blog posts BEFORE they go to that Avon cookie cutter site, because by then, they’ll know the quality of the products and also know what they want to order. 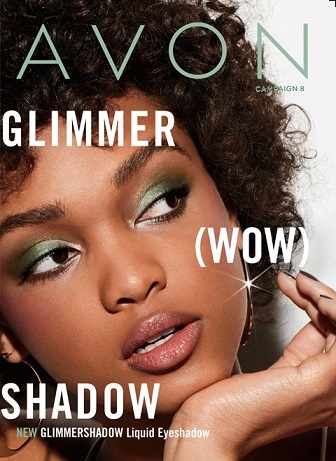 If you’re a representative, (unless you know thousands and thousands of people and have a HUGE following on social media), you know it takes real work getting folks to your Avon eStore. It’s my opinion that getting people reading about products first is the practical and much quicker way of getting sales and experiencing success.